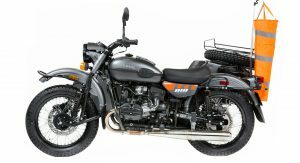 What’s better than a motorcycle? 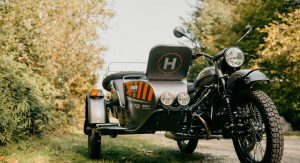 A motorcycle with a sidecar, if you ask us. 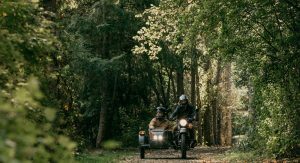 And what’s better than a motorcycle with a sidecar? 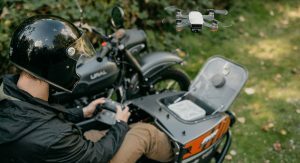 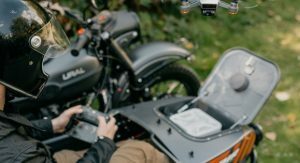 A motorcycle with a sidecar… and a drone. 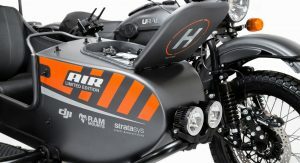 Enter the Ural Air Limited Edition. 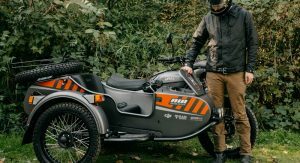 The cult-classic Russian manufacturer specializes in sidecar motorcycles, and has since 1941 when it started in the Soviet Union. 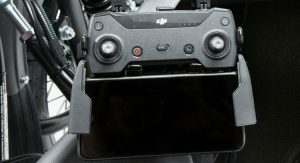 And now it’s added a DJI Spark remote-control quadricopter into the mix. 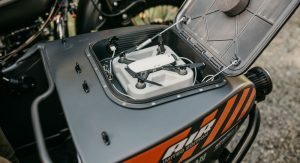 The camera drone is based inside a 3D-printed cubby from StrataSys fitted to the nose of the sidecar, and a controller holder from Ram Mounts. 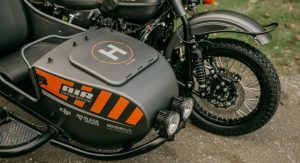 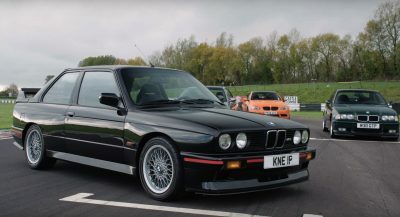 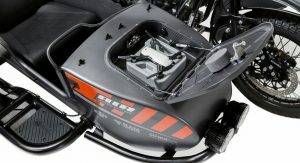 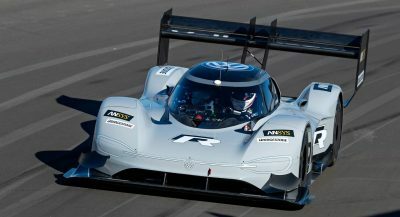 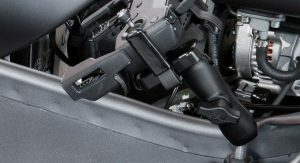 It also features a USB charging port to keep the drone charged up, a windstock (for judging air speed and direction before launching the drone), as well as a telescoping selfie stick, LED auxiliary fog lights, a luggage rack, spare wheel and tire, jerry can, tool kit, and shovel. 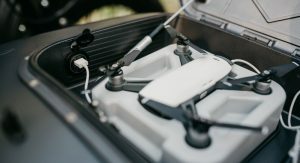 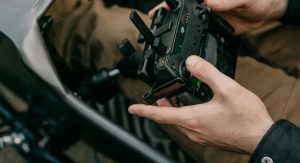 All of which makes for one very serious yet assuredly fun piece of off-road adventure equipment, allowing one to drive the bike and another to operate the drone. 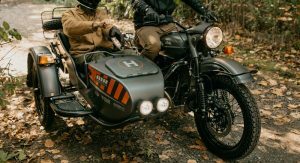 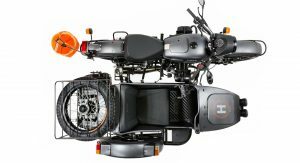 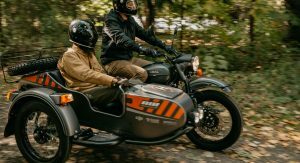 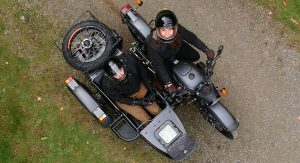 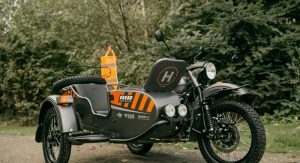 The bike to which all the extra kit is mounted comes in black and orange, and features two-wheel drive – a signature trait of Ural’s motorcycles, which integrate the sidecar into the frame, rather than bolt it on as an afterthought. 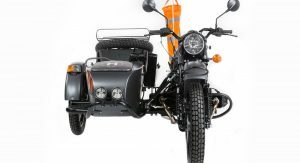 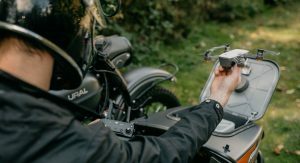 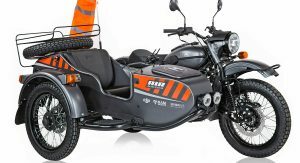 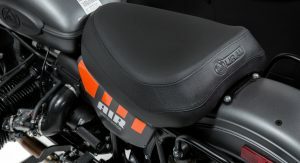 Ural will only make 40 examples of the Air Limited Edition. 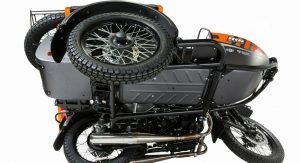 Those bound for these shores are set to reach dealers next month. 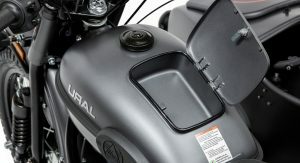 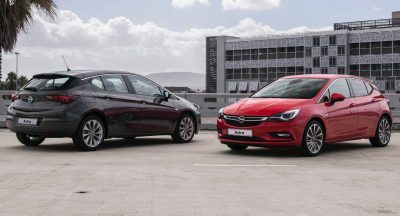 You can place a $500 deposit now to secure yours, before ponying up the full $17,999 purchase price. 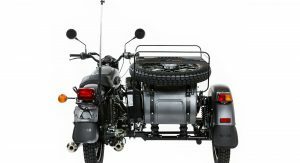 Ural motorcycle are cool, but I always thought their product is rather overpriced. 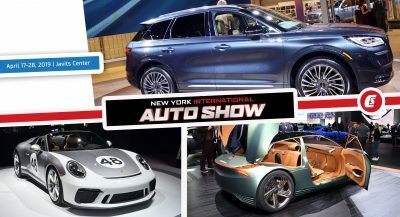 Next PostNext Ferrari 488’s Bigger Mid-Engine Hybrid Brother Caught On Track For The First Time?